Three Remarkable 15th Anniversary Events! Please note these three remarkable events to commemorate the fifteenth anniversary of the 9/11 attacks. We hope you can watch or possibly attend one or more of these. 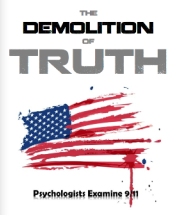 Thursday, August 25 from 7 to 9 p.m.
Colorado Public Television (CPT12) will air the world premiere of The Demolition of Truth – Psychologists Examine 9/11 on August 25 from 7 to 9 p.m. The Demolition of Truth is a documentary film filled with factual testimony from scientists and engineers along with additional footage of the psychologists who appear at the end of Experts Speak Out. The film weaves the scientific evidence together with an examination of the psychological impact of 9/11, the phenomena that have kept us blinded to the truth, and initial steps toward healing. A number of Colorado psychologists appear in the film including Dorothy Lorig, Marti Hopper, Fran Shure, and Bob Hopper. 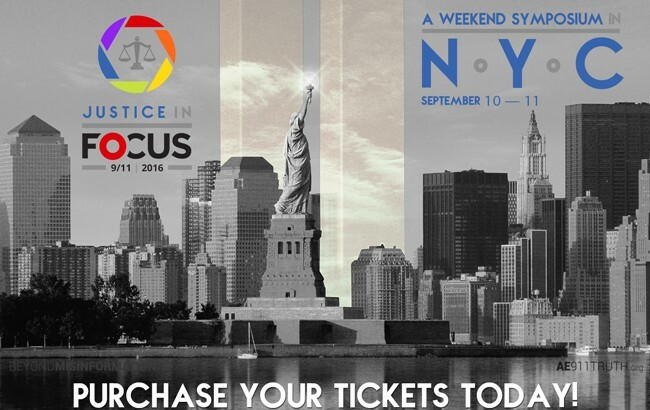 CPT12 is the only PBS station in our nation that will show 9/11 Truth films, so mark your calendars! 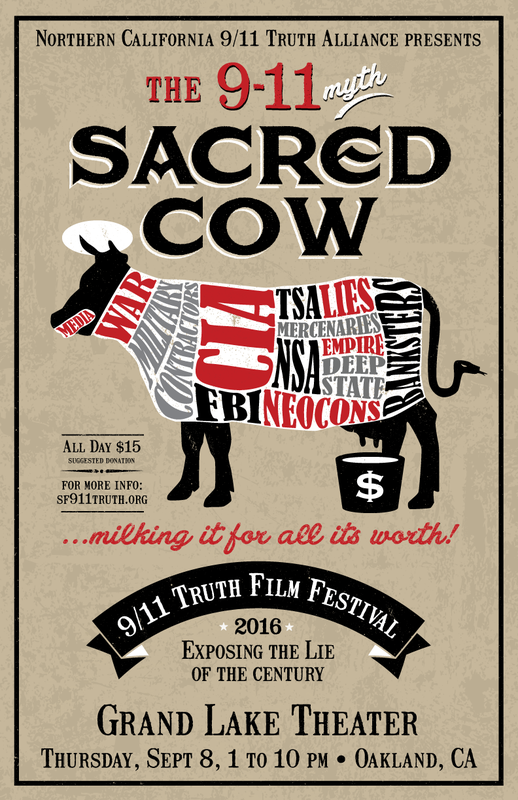 The Northern California 9/11 Truth Alliance marks the anniversary with its twelfth annual 9/11 Truth Film Festival: Exposing the Lie of the Century. Films shown will be Incontrovertible, 9/11: Decade of Deception, and The Demolition of Truth: Psychologists Examine 9/11. Esteemed guests will include the filmmakers along with Graeme McQueen, Peter Phillips (Project Censored), and Colorado’s own John Meaders who appears in Incontrovertible. 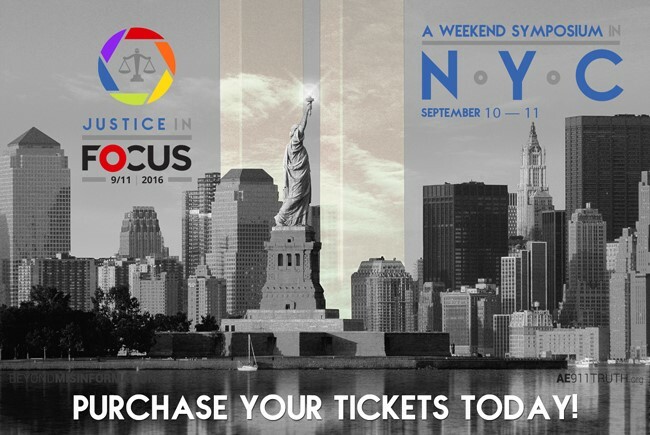 Join Architects & Engineers for 9/11 Truth, the Lawyers Committee for 9/11 Inquiry, and other co-sponsors for Justice in Focus, a weekend symposium in New York City. An outstanding lineup of speakers along with hundreds of researchers and activists will come together in the historic, 800-seat Great Hall of Cooper Union in New York City. They will discuss the state of ongoing efforts to expose the truth and obtain justice for the attacks that killed nearly 3,000 innocent victims and that continue to serve as the pretext for the Global War on Terror. 15th Anniversary, Architects and Engineers for 9/11 Truth, Bob Hopper, Colorado Public Television, Dorothy Lorig, Film Festival, Fran Shure, Graeme MacQueen, John Meaders, Lawyers Committee for 9/11 Inquiry, Marti Hopper, Peter Phillips, Special Events. permalink.